Shouldn’t Your Business Be on Facebook? Learn to create and manage your Facebook business page. So what are you waiting for? 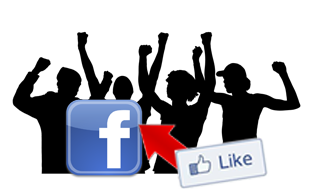 Grab your laptop and get started using Facebook to promote your business. Check out our Spring Social Media Workshop Special. The workshop is 3 1/2 hours long and very hands on, so you will actually come away with a completed Facebook Business page and tools to manage your Facebook page. Cost of the workshop includes course materials. Bring yourself and your laptop. We provide the wireless connection. Registrants will also be asked to have business logos or a nice personal photo and possible images to create a cover image and profile for their page. Cost: $150 plus HST. Coffee, teas and muffins included. This workshop is part of the Group of Seven Social Media Workshops. Save $100 when you sign up for at least four workshops in the Group of Seven series. Hurry! Registration is limited to ensure everyone has plenty of time to learn and be properly coached.